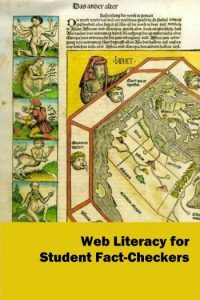 I was recently asked to lead a book discussion group on the open access e-book “Web Literacy for Student Fact-Checkers” by Mike Caulfield. I had not read the book, but I believe I was asked to lead the discussion based on my experience in law enforcement leading a state cybercrime unit and using the Internet as an investigative tool. Upon reading Caulfield’s text I came to realize that I had been using, in my previous work, some of the same strategies he describes. These fact-checking strategies are tools we should teach our students and use ourselves on a daily basis. 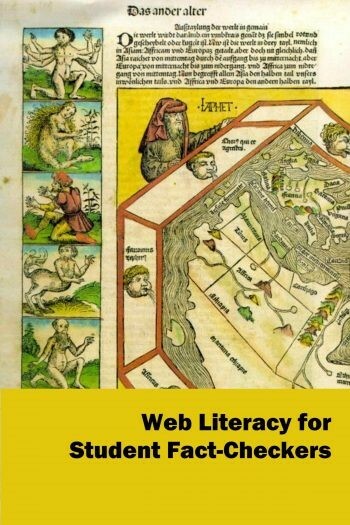 The World Wide Web and social networks are treasure troves of information – much of it true and reliable but some of it false and misleading. How can we help students evaluate the information they find on these sources and evaluate the information’s veracity? In his book, Caulfield provides “Four Strategies and a Habit” to guide us in this effort. While we ask students to critically think about various sources of information, we have not provided them concrete strategies and tactics for properly analyzing the nature and reliability of those sources. Check for previous work: Has someone else already fact-checked the information? He provides sources of reliable websites that do research and fact-check much of the questionable news we read online. Go upstream to the source: Most web content is not original. He provides techniques to work “upstream” to locate the original source of the information and evaluate its credibility. Read laterally: Once you find the source of a claim, see what others say about the source and its trustworthiness. Circle back: If you hit a dead end or get lost, go back to the beginning and start the process over, using what you learned up to that point (p. 5). In addition to those strategies, Caulfield introduces a habit we should all follow. We should check our emotions. “When you feel strong emotion – happiness, anger, pride, vindication – and that emotion pushes you to share a ‘fact’ with others, STOP. Above all, it’s these things that you must fact-check” (p. 7). When emotion is high, be careful about how you proceed. Propaganda is written to evoke emotion. Don’t Tweet angry. The rest of the text goes on to detail each of the strategies and provides current examples of “fake news” – propaganda and disinformation that can be easily fact-checked with the strategies. This is an excellent book and easy read of about 120 pages. Our book discussion group had some interesting discussions and some fun fact-checking information we found on our own Facebook feeds and Twitter accounts. Caulfield (2017) notes, “the web is both the largest propaganda machine ever created and the most amazing fact-checking tool ever invented. But if we haven’t taught our students those capabilities, is it any surprise that propaganda is winning?” (p. 3–4). I would take this further and say that every citizen that interacts with information on the Internet should use the due diligence outline in this book before re-Tweeting or sharing bogus information and perpetuating fake news. The ability to evaluate information in our information-saturated world is a skill that, once mastered, is empowering and transformative. By having better-supported information, both we and our students can check our prior observations and perhaps expand our perspectives on the world.